Watch Christian Bale's Batman Audition in Val Kilmer's Batsuit! Fans can relive director Christopher Nolan's blockbuster Batman trilogy with The Dark Knight Trilogy: Ultimate Collector's Edition Blu-ray, arriving on September 24. 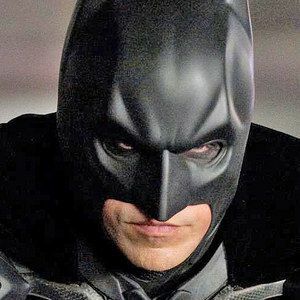 Today, we have an excerpt from the special features, which shows star Christian Bale's first screen test as Batman opposite Amy Adams, while wearing Val Kilmer's Batman suit. Director Christopher Nolan also explains what stood out to him about that initial performance, including the actor's decision to give Batman a different voice than Bruce Wayne. Take a look at this behind-the-scenes video, then take a look at the full special features details below. Christopher Nolan's reimagining of the Batman franchise beginning with 2005's Batman Begins enjoyed phenomenal critical and box-office success. Now on September 24, Nolan's three Batman films - Batman Begins, The Dark Knight, and The Dark Knight Rises - will be released by Warner Bros. Home Entertainment as The Dark Knight Trilogy: Ultimate Collector's Edition. The six-disc set will feature all three films with their existing extra content, two new featurettes and exclusive new collectible memorabilia. This must-own collection for fans of DC Comics' Caped Crusader is available in premium packaging and will sell for $99.97 SRP. The Fire Rises: The Creation and Impact of The Dark Knight Trilogy - The inside perspective on the fascinating story behind the creation of one of the most celebrated franchises and how it changed the scope of movie making....forever. Full of never-before-seen footage, rare moments, and exclusive interviews with Guillermo del Toro, Damon Lindelof, Michael Mann, Richard Roeper, Zack Snyder and others. - Christopher Nolan & Richard Donner: A Conversation - For the first time, Directors Christopher Nolan (The Dark Knight Trilogy) and Richard Donner (Superman) sit down to discuss the trials and triumphs involved in bringing the two most iconic superheroes of all time to the big screen, and how Superman influenced Nolan when developing Batman Begins.